3 Bedroom End of Terrace House For Sale in Liverpool for Asking Price £105,000. 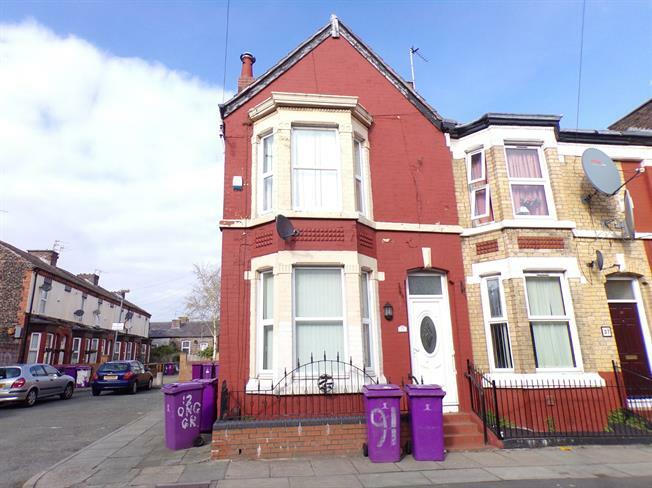 Located on Aspen Grove, in the Toxteth area, L8, is this three bedroom end of terraced house brought to the market courtesy of Entwistle Green. This property has no onward chain. There are many local amenities, including shops, parks and schools. The property briefly comprises of a large entrance hall, large open plan reception room and kitchen/diner. To the first floor, there are three bedrooms and a bathroom. There is a loft space, accessed via ladders and an unconverted basement. Externally, there is a good sized yard to the rear of the property. Viewings are highly recommended to appreciate the space available.